This badge was issued to Julian Knauer on 28 Sep 2017. 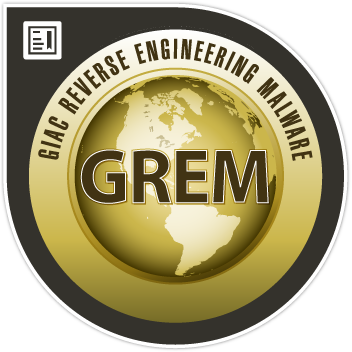 GREM holders have demonstrated the knowledge and skills to reverse-engineer malicious software (malware) that targets common platforms, such as Microsoft Windows and web browsers. Professionals holding the GREM know how to examine inner-workings of malware in the context of forensic investigations, incident response, and Windows system administration.